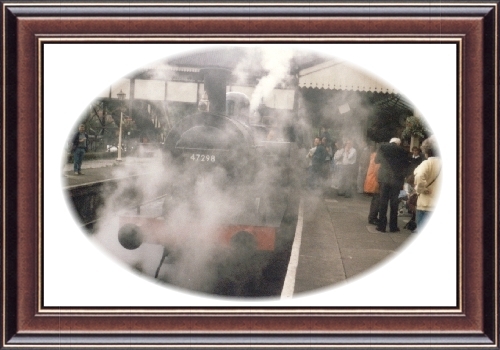 Ex - LMS Jinty (3F)No.47298 at Llangollen Station in the BR Black late Crest livery 7/9/97. Welcome to my railway picture sites, since the 21st March 2001. This site is based on the location of the pictures. Please click on ENTER below to reach the index page. Why not send me an e-mail?